I wish I had gone solar sooner. Over the course of 25 years, I expect to save at a minimum of $16,500. I'll save even more due to rising electricity costs! 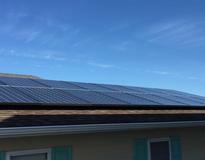 My system consists of 23 330 watt Panasonic panels with SolarEdge string inverters with optimizers. My panels perform well under high temperatures. I was motivated by saving money, adding value to my home and to go green. EnergySage's website was invaluable. Do your research and realize an investment this big isn't one to skimp on. You are going to benefit from this decision for many years to come. Warranties are important and the company who stands behind it. 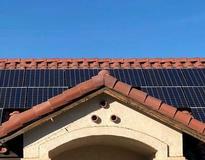 I chose LA Solar Group because of guarantees, warranties, reputation and the equipment they install. They are very professional. LA Solar Group worked hard to find me financing. Salal Credit Union didn't stop until they approved me for my loan.